Here is Part 1 of our Advent sermon series, “Journey to Bethlehem.” Our adventure begins with a 13-year-old girl named Mary, who hails from a small town in Galilee called Nazareth. What God calls Mary to do is nothing less than astonishing, as discussed in this sermon. But consider this: While God may never ask us to set aside all of our hopes and dreams, leave the comfort and security of home, or risk our lives for his sake, in many ways God is asking of us the same thing he asked of Mary: to offer ourselves completely to God, to go where he says to go, to do what he says to do. Will we respond, along with Mary, “Here am I, servant of the Lord. Let it be with me according to your word”? While driving home from our Thanksgiving feast at my in-laws last Thursday night, we were listening to one of those radio stations that plays round-the-clock Christmas music. These songs are so familiar to us, and we’ve heard them so often for so long, that it becomes difficult sometimes to actually hear the words anymore. Do you know what I mean? So I give credit to any singer or artist who can perform one of these very familiar songs and make me pay attention to the words. Another Bible just in time for Christmas! I’m a sucker for buying Bibles, as I described in an earlier post. 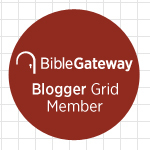 I know, I know… It’s sort of my line of work, but how many Bibles does one person need? If I read just one of them more often than I do, I’m sure I’d be a better person! Some of us Methodists may have encountered Dr. Levine before. She was a very insightful and winsome commentator on the video portion of the short-term Disciple New Testament study. I think she pops up in some other Disciple videos as well. I should point out one interesting fact about Dr. Levine: although she obviously has an abiding love and respect for Christianity, she is religiously and ethnically a Jew—Orthodox, even. This makes her an anomaly in the world of New Testament scholarship, but it also makes her perspective on the thoroughgoing Jewish-ness of the New Testament and the Jewish roots of Christianity invaluable. If you happened to take the short-term Disciple class, you know what I’m talking about. Her words about dietary laws, “uncleanness,” and even evangelism were fascinating. Why do we need to understand the New Testament from a Jewish perspective? Because, as my man N.T. Wright is always pointing out, the story of the New Testament is, first and foremost, Israel’s story. By all means, through faith and baptism, we Gentile believers become part of that story, but it is Israel’s story first. We will be better Christians if we understand how it is that way. If this study Bible facilitates that understanding, I’m sure I’ll be a fan. I’ll let you know. Amazon.com just received my order! † Adam Hamilton, The Journey (Nashville: Abingdon, 2011), 20. Not "Waterloo Sunset" but not bad. 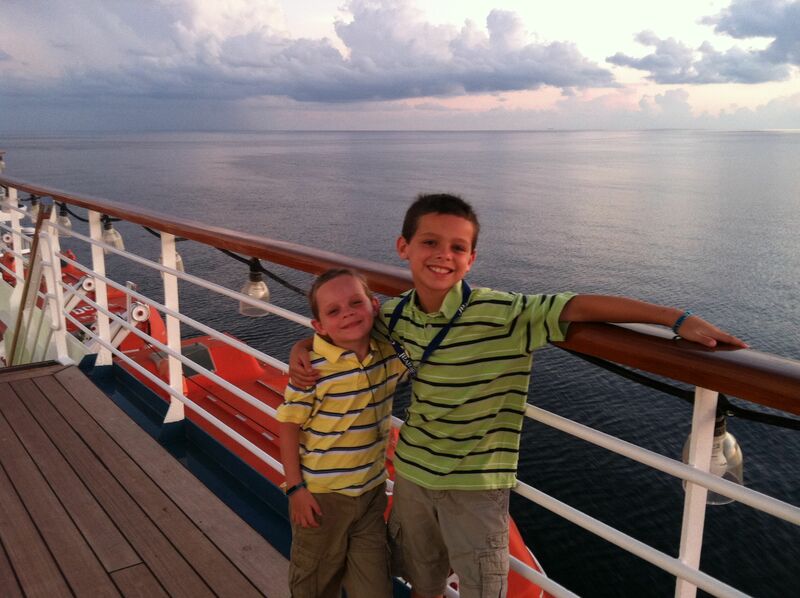 My boys this summer at sunset. I am thankful to God for this song because it’s the most beautiful one I’ve ever heard. I’m thankful to God for giving us Waterloo sunsets, for the ability to experience beauty, and for music. There are a few commendable live performances of the song on YouTube, but they fall short—as all performances will—of the three minutes, 17 seconds of perfection that is the original studio recording. Adam Hamilton’s “The Journey” rules! I went to Cokesbury seeking inspiration for preaching Advent and Christmas. I love this holiday season as much as anyone, but it presents a challenge to me as a preacher. How do I preach the good news of Christ’s coming into world without it sounding like old news? I was looking for a book that offered a fresh take, a different angle, a less-traveled path into these familiar texts. I certainly wasn’t looking for an Adam Hamilton book. It was clear, however, from the large cardboard aisle displays, banners, posters, and marketing tchotchkes all over the store that an Adam Hamilton book was looking for me. Hamilton, if you don’t know, is the nearest thing we Methodists have to a celebrity in our denomination. (You guys didn’t really believe that satirical Madonna article floating around the interwebs a while back, did you?) He’s one of only a few United Methodist megachurch pastors, and he’s a publishing phenomenon. Like Wesley before him, he’s hardly had an unpublished thought. He’s evangelical enough to earn a dust-jacket blurb from Willow Creek pastor Bill Hybels and mainline enough for all of his scripture citations to come from the New Revised Standard Version. And since he’s published by Abingdon, the United Methodist publishing house, he’s good for the home team. In spite of (or perhaps because of) his success and fame, before last week, when I picked up his new Advent-themed book The Journey, I had never actually read Adam Hamilton. My verdict? This guy is really good! In fact, The Journey rules! I’m not kidding. I don’t mean to sound surprised, but c’mon! Look at the cover! It looks exactly like the kind of book that a well-meaning aunt gives you as a Christmas gift. When you unwrap it, you intend to read it, but it instead collects dust in the nook alongside The Christmas Box, the Chicken Soup books, and something by that guy who wrote Tuesdays with Morrie. Needless to say, you can’t judge a book by… Well, you know. One important theme of the book is that the popular Christmas story that we know and love didn’t unfold in history quite the way we imagine. A close reading of the Bible, as Hamilton makes clear, often contradicts the popular story. Not only that, the popular story often seems like a fairy tale. Only when we understand the story in its place and time—using insights from history, sociology, and geography—can we see how gritty and down-to-earth it really is. Hamilton also does a nice job keeping the Christmas story rooted in Israel’s story. He makes many connections to the Old Testament that weren’t obvious to me until I read about them. One of the book’s great strengths is the way Hamilton fills in the picture painted by Luke and Matthew with details that the evangelists and their original audiences, living as they did in the Ancient Near East of the first century, might have taken for granted. We live in a very different time and place, but Hamilton familiarizes us with the terrain—figuratively and literally. As someone who visited the Holy Land this year, I appreciate the way Hamilton brings insights from his own trips to the Holy Land to help us place the story in its proper context. Luke and Matthew were concise writers, but they give us enough information to know that these events must have happened something like this. Hamilton is nicely speculative at times, but he never strays far from the text. While we don’t read it explicitly in the Gospels, we can infer from the life and teachings of Jesus the profound impact Joseph had on Jesus’ faith. When Jesus looked for a metaphor to describe his relationship—and ours—to God, his primary form of addressing God was Abba—the Aramaic word for Papa. It is likely that even as a boy Jesus saw in Joseph a picture of the love and character of God. As a preacher reading The Journey, I often felt the same way. I’ll post more about the series later this week, but my new Advent sermon series, “The Journey to Bethlehem,” will use Hamilton’s book as a roadmap, and will surely include many of the book’s insights. The series will also include pictures and video from my recent trip to the Holy Land. 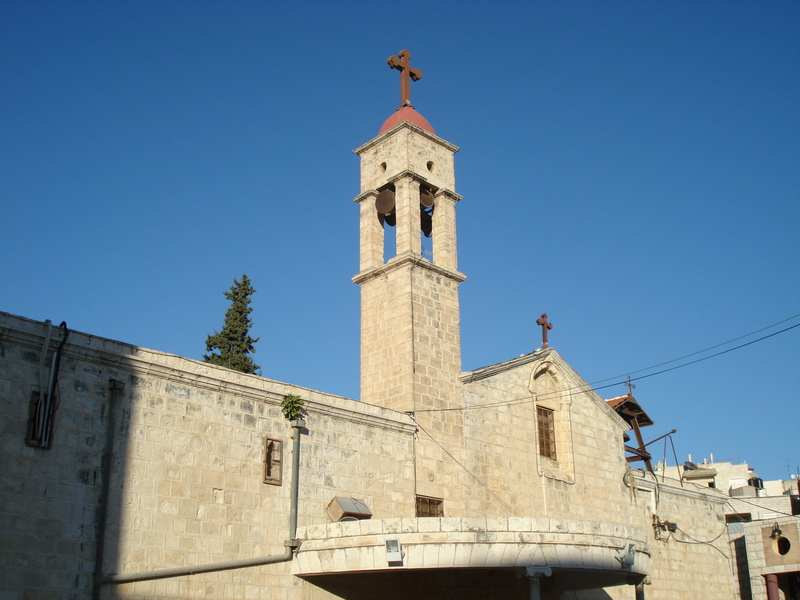 This Sunday we’ll begin our story with a 13-year-old girl named Mary, who lived in a small town called Nazareth. Our scripture is Luke 1:26-38. 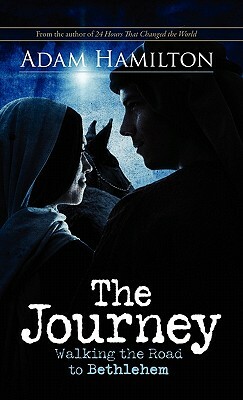 † Adam Hamilton, The Journey: Walking the Road to Bethlehem (Nashville: Abingdon, 2011), 51. 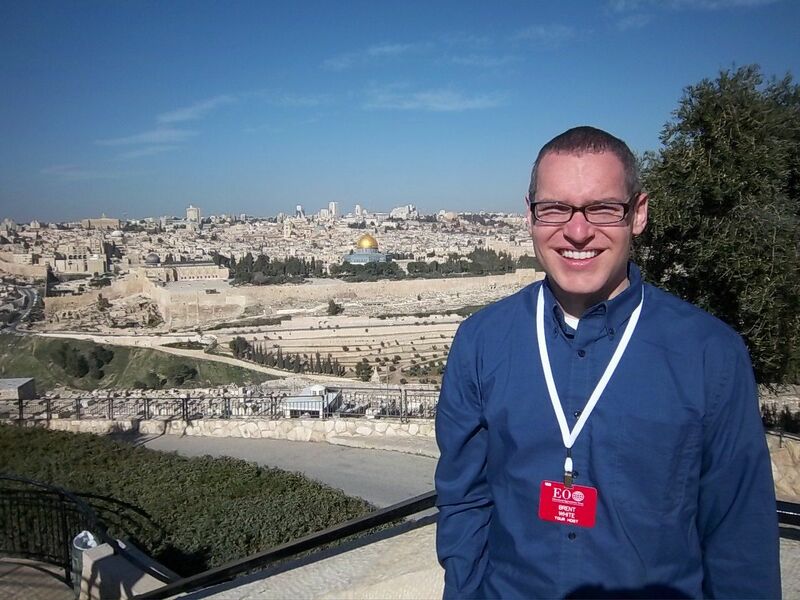 The photo in the upper left is the view of Jerusalem from the Mount of Olives. This is the view that Jesus and his disciples had in Matthew 24-25. The gold dome from the Dome of the Rock, Islam’s fourth holiest shrine, sits atop the Temple Mount (Mt. 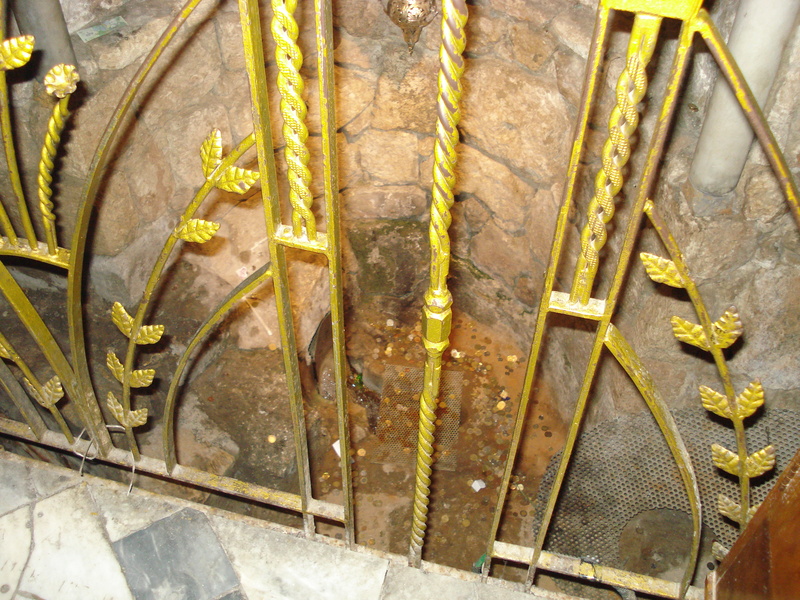 Moriah), the location of the Temple in Jesus’ day. (The Temple was much larger.) 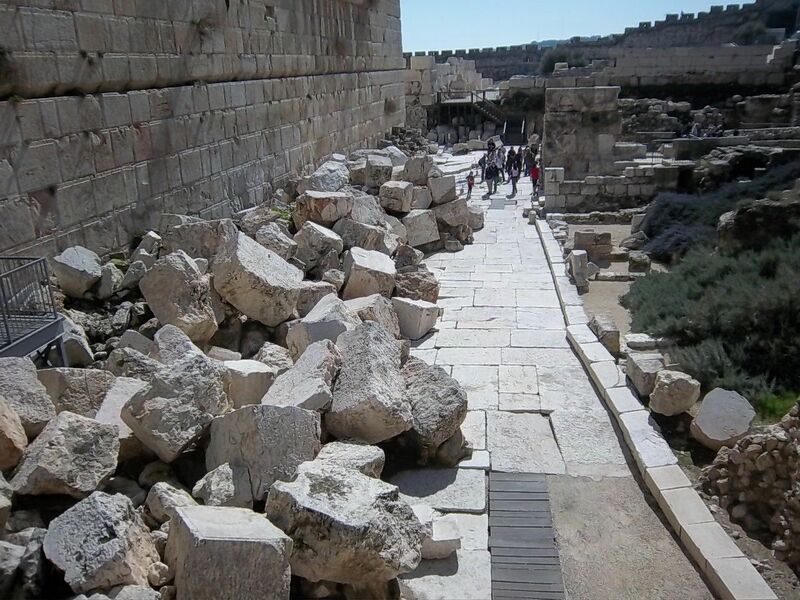 The Temple was destroyed by the Romans in A.D. 70. The next photo, clockwise from upper left, shows some rocks around the temple walls. It reminds me of Jesus’ words of warning to his disciples in Matthew 24. 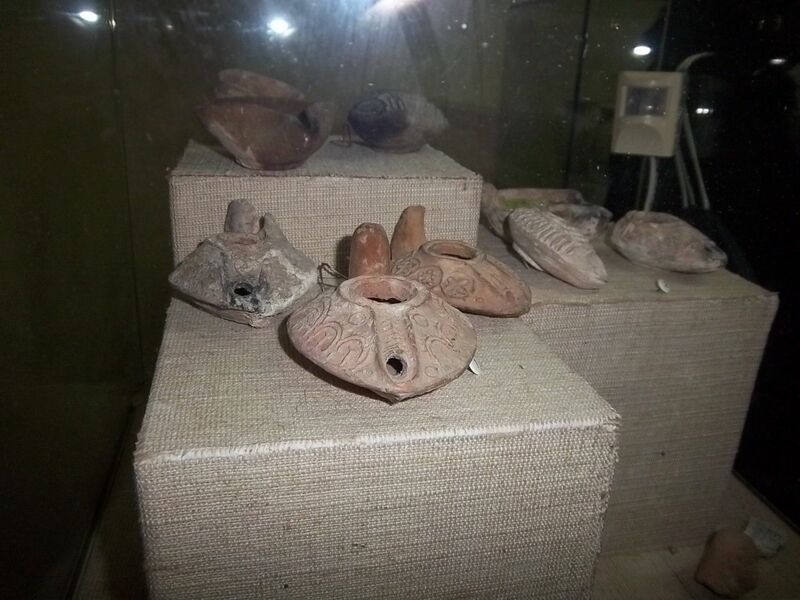 The next photo shows some Herodian lamps. These are exactly the type of lamps that the wise and foolish virgins would have used in Matthew 25:1-13. 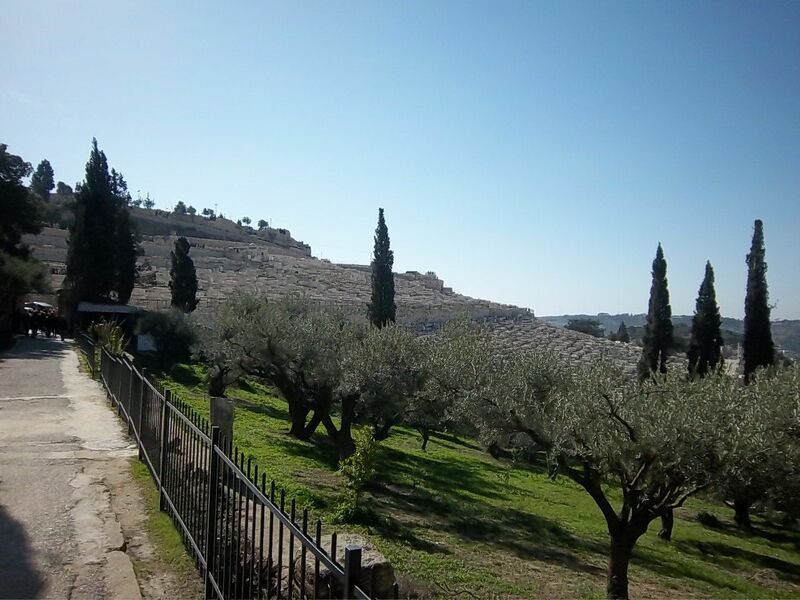 The final photo shows actual olive trees on the Mount of Olives. Several churches on that mountain pay tribute to events in Jesus’ life that happened there: the Triumphal Entry, the Garden of Gethsemane, and the Ascension. Bethany, hometown of Mary, Martha, and Lazarus, is on the other side of the mountain away from Jerusalem. Here is the next to last sermon in our series on Jesus’ parables in Matthew, “Do You Want to Know a Secret?” This sermon focuses on a parable unique to Matthew’s gospel traditionally called “The Wise and Foolish Virgins.” More than anything, Jesus challenges us through this story to live our lives in such a way that we will be prepared for any crisis that comes our way, including our own death, the Second Coming, or Final Judgment. As Rev. White reminds us in this sermon, however, we don’t have to simply wait for Jesus off in some distant future, because Christ is with us now through the power of the Holy Spirit. Recently, Lisa and I were going out with some friends. We wanted to see a movie. I was in charge of making the plans, which is never a good idea. I am not good at managing the social calendar. Since the movie was up in our neck of the woods, I helpfully suggested that our friends meet us at our house first, and we could decide together which movie to see and where to eat. It seemed like a sensible suggestion. I mentioned this to Lisa, and she said, “What? Are you crazy?Our house isn’t ready for company!” I’m looking around thinking, “It doesn’t look so bad to me.” It’s true that the dog has chewed up some dog toys, as the dog always does, and there’s dog-toy stuffing all over the living room, but that’s no big deal. But sometimes the shoe is on the other foot. For example, sometimes my in-laws will drop in unexpectedly. Lisa will say, “Oh, Mom and Dad just called. They’re going to drop by in a few minutes.” And I’m like, “What? I can’t let have your dad seeing the yard like this!” Suddenly I feel deeply embarrassed because I’ve been busy recently and I’ve put off cutting the grass for a couple weeks or months or whatever. It’s embarrassing! You know who your best friends are? They’re the ones for whom you don’t even think about picking up the house! Of course, you know what the solution to the problem is, don’t you? Keep your house picked up each day. Maintain the lawn each week. Don’t procrastinate. But it’s hard because we’re so incredibly busy! We get so easily distracted by other priorities. My friend Paul, a physicist, has a blog post about teaching a class in his church on evolution. It has generated many comments. And since I spent far too much time and thought commenting myself, I want to pull out what I wrote there. It may help some of you, who knows? I’m late to the party. Sorry! Here are a few of my thoughts. I’m pro-science. I have no problem accepting that evolution happened (and is happening)—except that I am taking on faith (loosely speaking) that biologists know what they’re talking about. I certainly can’t prove it to myself or understand it on my own. That’s the nature of modern science. Its many disciplines are highly esoteric and inaccessible to laypeople. Before becoming a pastor, I was an electrical engineer. I learned the teensy bit about physics that I needed in order to have a clue about engineering (not that, once I graduated and got a job, I ever had to worry about it again! )—and I love the subject—but even after taking many college courses I don’t really know much about it. When it comes to biology and evolution, the problem is even worse: I mostly only know what I learned from a high school textbook, which I hardly remember anyway. I don’t know anything about it. And the fact that I’ve lived 41 years of my life reasonably successfully without knowing anything about it suggests that knowing about it must not be very important. Right? I’m sure that an evolutionary biologist would want to throttle me for saying that, but really… Even people who are closer to the subject than I am don’t need to know much about evolution. I doubt that my doctor would treat me any worse if he were a Creationist. I doubt that the pharmaceutical industry would be any less profitable if its scientists and researchers doubted evolution. It doesn’t matter very much for the vast majority of people. Regardless, if accepting the reality of evolution means accepting philosophical (as opposed to methodological) materialism as one’s point of view—and, let’s face it, that’s the way it’s presented in pop culture and media—then I don’t “believe in” it, either. It’s not either God or evolution, but not both. It’s not “the more evolution does, the less God does.” No wonder that’s threatening to Christians! It ought to be! Fortunately, it’s not true. If you’ve been reading this blog recently—including even yesterday’s post—you’ll know that I have become increasingly preoccupied by evangelism. I feel convicted that I need to do more to make evangelism a more deliberate part of my ministry, and I need to work harder to lead my parishioners in the area of evangelism. To that end, I had lunch today with a fellow United Methodist pastor who is famously good at evangelism (not that he would agree with that assessment). We had a great conversation. I feel inspired, convicted, and motivated. After sharing some practical advice with me, which I’m sure will bear fruit in my ministry, he confessed that he didn’t know how to do evangelism very well. Needless to say, I was surprised by this admission. I don’t think he was being falsely modest; he was serious. If we believe that eternal consequences hinge on a person’s decision to follow Christ or not, how can we be satisfied with doing nothing or next to nothing? I wonder if many Methodist clergy flirt with a kind of soft universalism—which hopes (against the weight of scripture, tradition, and reason) that God will somehow find a way to save everyone in the long run—to make themselves feel better about doing so little to convince people of the truth of the gospel. Never mind that according to our own Book of Discipline, this act of convincing is our church’s primary task. I already feel like the biggest hypocrite by talking about evangelism in these terms, but I’m talking to myself, too. I know I’ve been part of the problem. But I want to change. Do you? If you agree with me that there are such people as lost people, let’s roll up our sleeves and figure out how to reach them.